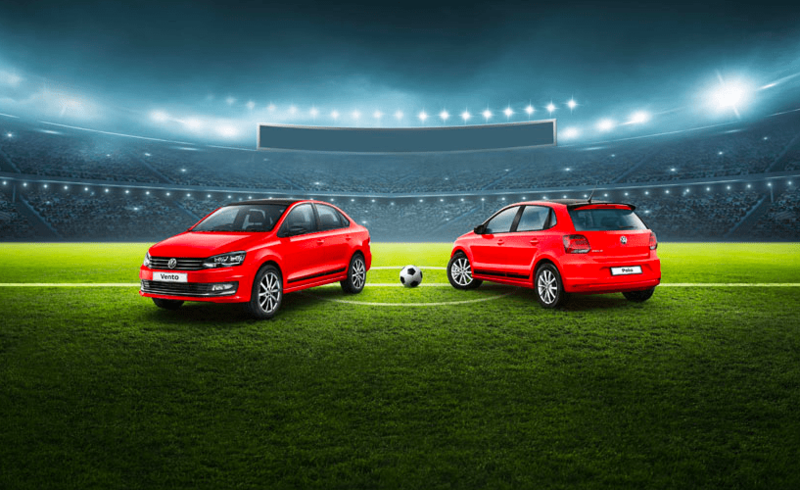 Volkswagen Has Launched Sports Edition Of The Polo, Ameo And Vento: Volkswagen announced the introduction of the particular edition model of its popular carlines the Polo, Ameo and Vento. It is called the Sports Edition and comes with changes made to the exterior of the cars. The special edition of all three cars will see them get a glossy black roof foil and side foil. The vehicles also come with a black rear spoiler and a carbon finish ORVM cap. Volkswagen India had discontinued the 1.2-litre 3-cylinder petrol engine in the Polo hatchback, and the car gets a 1-litre, three-cylinder MPI engine instead. The new engine is more fuel efficient than the 1.2 litres one. Where the older 1.2-litre MPI petrol returns 16.47 Kmpl according to ARAI test results, the new smaller 1-litre MPI petrol engine offers 18.78 Kmpl. Although the new engine is smaller as compared to the outgoing version, it offers the same horsepower figure of 75 bhp. Torque figures for the 1-litre engine, however, as expects, come down to 95 Nm as compared to 110 Nm in the older 1.2-litre engine. Cars India said, “Volkswagen carlines endows the characteristics of the #BeASport campaign, offering the precision, power and performance as demanded by the Indian customers. With our special editions, we aim to reinstate the cheer, fun and the spirit of driving among our prospective customers this sports season. So, these are the points to describe the Volkswagen has Launches Sports Edition of the Polo, Ameo and Vento.